Major D P Singh : Dead man walking? 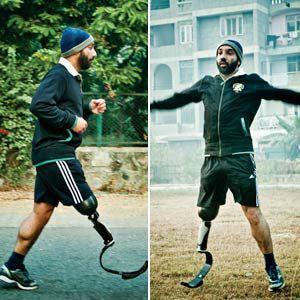 Major D P Singh is inspiaring not only the disabled people he is also inspiaring a normal people that not to giveup quickly fight till the end. If you do that even god cann't take your life from you. So, be brave like Major D P Singh. never bowed his head in front of the life. india want such type of soldiers.